We know a smoking father damages sperm and seriously increases childhood cancer risk. But the vegetable oil in that tub of margarine or that splodge of mayo works the same way only many times worse. One in 500 Australian children will develop cancer. That’s 2 new cases every day. Two children every day! That is one of the highest rates in the world and it is getting much worse very quickly. 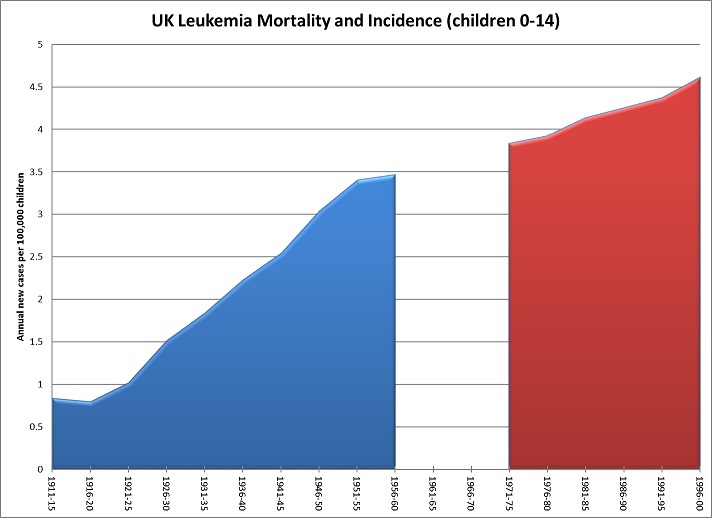 A child born in the UK in 1911 was six times less likely to suffer from leukemia than one born today. Australian statistics show identical trends. The genetic damage that lies behind most childhood cancer is caused by oxidative damage to sperm DNA. Oxidative stress produces highly toxic and reactive end products which attack the integrity of the DNA carried by sperm. We normally deal with heavily disrupted cell DNA by repairing it or killing off the damaged cell. Unfortunately, this is not always the case with sperm. Human sperm sometimes retain the capacity for fertilization even when their DNA are severely damaged (and this is even more likely with modern assisted reproduction techniques). We know this for certain because of studies done in men who smoke. Even though those studies have shown smokers are much less fertile than non-smokers, they are not always infertile. The sperm of smokers who remain fertile have DNA that has been damaged by oxidative stress. This is caused by the inhalation of aldehydes which promote oxidation. Because DNA-damaged sperm are still able to create viable embryos, the consequences can be cataclysmic. We have known since at least 1997 that the children of fathers who smoke heavily are four to five times as likely to develop childhood cancers. Intentionally inhaling toxic aldehydes by smoking is therefore obviously a bad idea for men thinking about having children. But in the last 50 years Australia’s male smoking rates have been diving almost as fast as the rates of childhood cancer have been increasing. Now less than 1 in 5 men smoke (down from 3 in 4 after WWII) and more than half have never smoked. Smoking is clearly not the only source of toxic aldehydes in our environment. We also manufacture them ourselves if we consume too much Omega-6 polyunsaturated fat. And we can be significantly exposed to them if we inhale the vapours from heating those fats. These fats dominate oils extracted from seeds like Canola, Rice-Bran, Grapeseed, Sunflower and Almonds or legumes like peanuts and soybeans. And we are eating too much of them (usually without even being aware of it) because these incredibly cheap oils dominate the 21st century food supply. 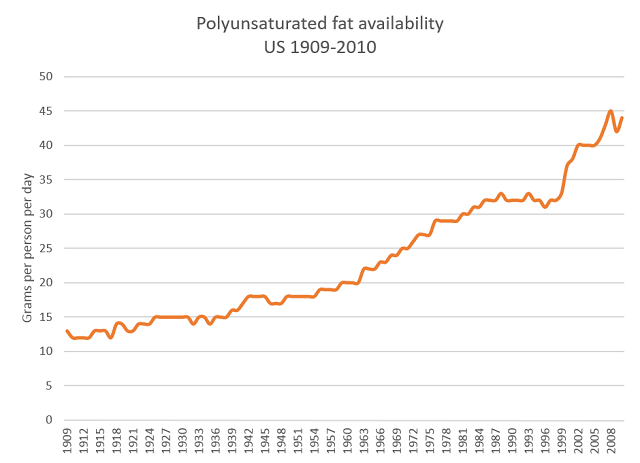 We now consume four times as much of these fats as we did a century ago. If you purchase anything to eat, almost all the fat components will be these oils. The mayo on your takeaway sandwich will be made from sunflower oil, as will the margarine. 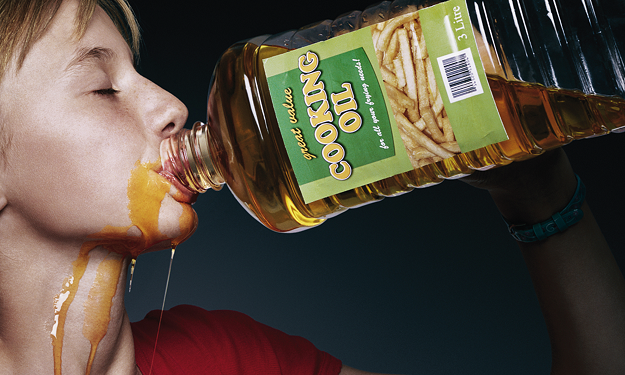 Anything fried will have been cooked in cottonseed or canola oil, no matter how flash the joint you purchased it from. All the breads and other baked goods will have been made using seed oils and so will all the dressings, dips and sauces. It is no surprise then that as oxidation fuel increases in the form of vegetable oil in our food, then so too will the rate of childhood cancers. If we do nothing about the presence of these fats in our food, we can expect to see the rate of those cancers continue to climb dramatically. But there is a surprising lack of interest in the science of oxidation from those who campaign hardest on the issue of childhood cancers. The Leukemia Foundation for example, raised $26 million dollars last year, spent $11 million doing so, put $8.5 million towards patient support and spent just over $2 million on research focused on cures. It did not spend a cent on prevention. The Childhood Cancer Institute raised $36 million, spent $7 million doing so, and spent $25 million on research focused on cures. It did spend money on prevention but this was focused on finding drugs to stop cancer developing in the embryo. A look through their websites quickly explains their focus. As far as these organisations are concerned, we don’t know what causes childhood cancers. But that is not the state of the evidence. We know oxidative stress causes sperm DNA damage of the sort which results in childhood cancer. We know that cigarette smoke induces the required state of oxidative stress by inhalation of toxic aldehydes. 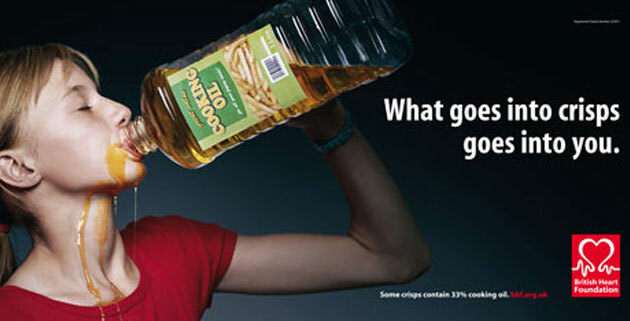 And we know that consumption of seed oils does exactly the same thing only worse. There is clearly an accelerating need for the patient care options funded by these charities. But if we don’t want them to have twice as many customers in a decade, they need to focus of prevention as well. When they have the national spotlight with something like ‘World’s Greatest Shave’ they need to do more than ask for money. They need to do as Red Nose does and tell us how to reduce our risk of harm. They need to tell us about the danger of seed oils and we need them to be campaigning hard to stop those substances being put in our food. Until they do that they are no better than a band-aid on a cut that grows wider and deeper by the day. That is a really bold statement! I did not realise how toxic vegetable oils were until just recently and I think many many people, even people in the health & wellness industry, fully understand just how damaging these oils are. I am finding when I go to health food stores to a lot of the products are labelled as natural and very healthy but they contain toxic vegetable oils. Thank you for this information, otherwise, I would have been none the wiser and bought it and fed it to my children. Wow, that is scary. I wish everyone would get on board with this and stop the use of these horrible oils. Every restaurant or club I have been to with my family I notice every kids meal comes with fries (and usually a sugary drink). I have to ask for grilled fish or chicken, no fries, just water and can you do a side of steamed vegetables. They look at me with a ‘what do you mean?’ on their faces. Yes it is impossible to go out and not have something in your meal that has been cooked in seed oils. I would love a list of restaurants that are going to buck the trend and go back to the better option for our health. I would be the first one in the line!